I was watching Evangelion on Adult Swim last Saturday and something caught my eye. It was episode 13, Liliputian Hitcher, when they were testing the pilot's synch ratio without interference of a plug suit. 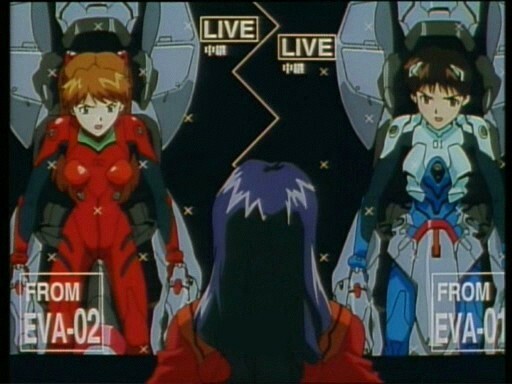 A display showing the three pilots sitting in their entry plugs was shown right before they were inserted into the simulation Eva bodies. 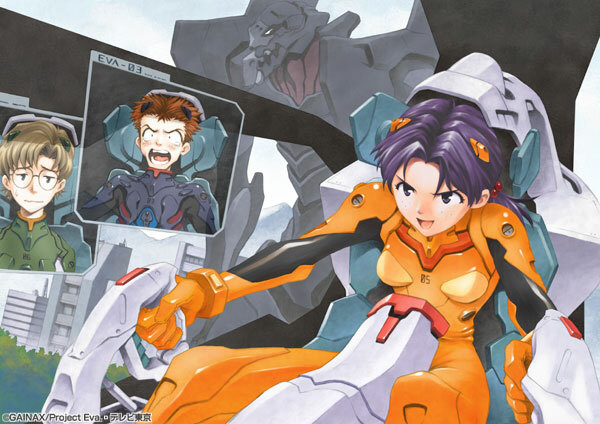 Shinji has some sort of metallic seatbelt around him while Asuka and Rei don't. My question is, would there be any significant reason why the inside of Shinji's entry plug is designed differently than Asuka's or Rei's? It probably has to do with the fact that the girls' torsos are being concealed. But I shall have to look at that scene again. I've always been curious about this myself, and have never found anything to indicate why Shinji's entry plug has additional component around the waist. And this component is visible again when he is in unit 00 in episode 14. 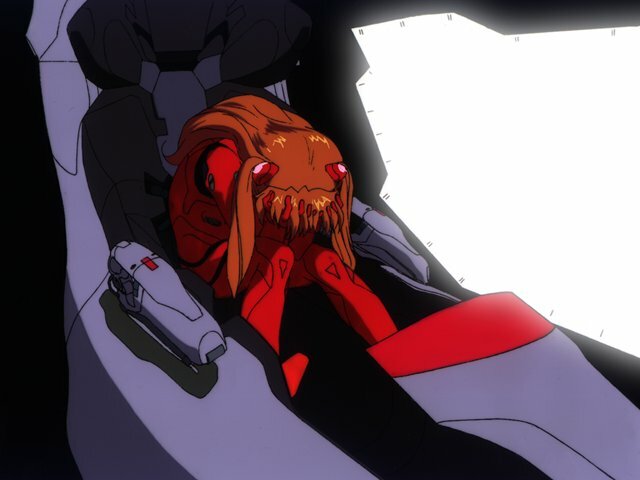 Or when in Unit 01 in episode 19. It is not Unit specific, but specific to Shinji. It would be interesting if anyone could turn up something showing that the additional component is specific to male pilots. But I doubt it would be something as silly as that. It's cause Shinji has balls(supposedly). 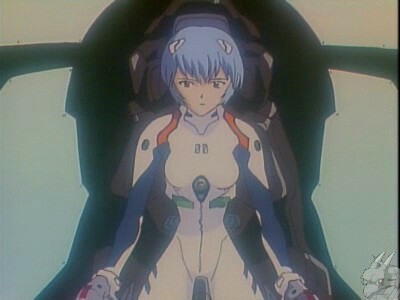 It is probably there for the same reason that Shinji's plugsuit has some stuff on his chest and Rei and Asuka's dont'? MagicianCamille wrote: It's cause Shinji has balls(supposedly). I lol'd, but honestly, I think that would be the most logical answer. As Eva Monkey pointed out, its not Unit specific. Maybe it helps Shinji sync better or he just feels more comfortable having a seatbelt . 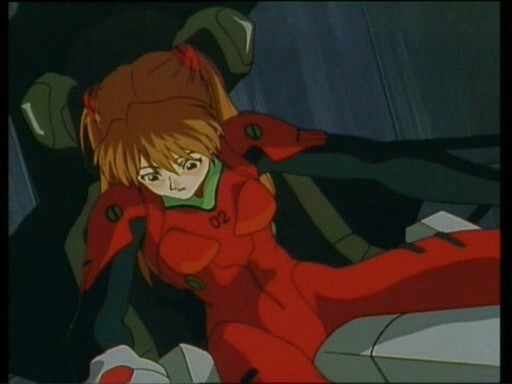 K2Grey wrote: It is probably there for the same reason that Shinji's plugsuit has some stuff on his chest and Rei and Asuka's dont'? 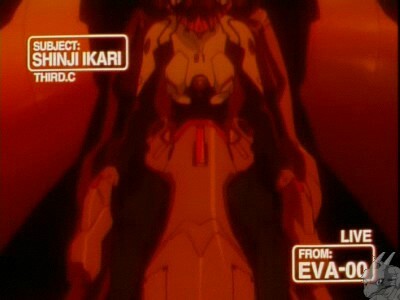 Note that Toji and Kaworu have the same items on their plugsuits, as well. I would presume this is a gender-specific thing. 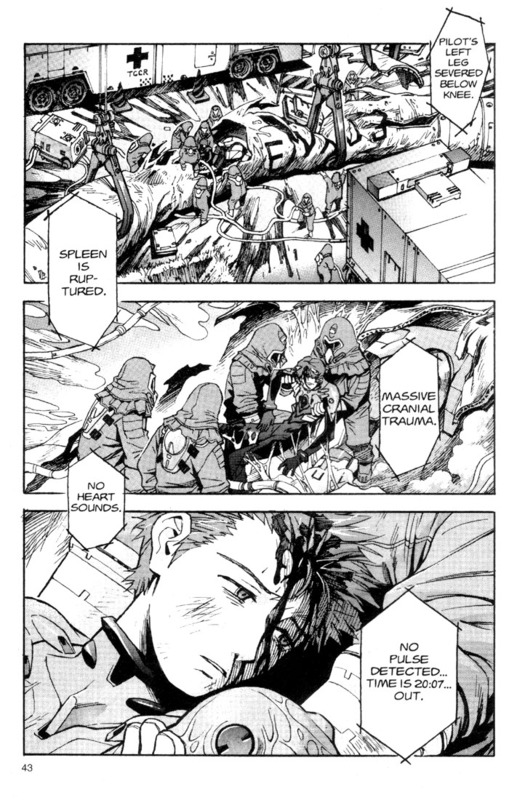 I usually like to think that Shinji is "The Chosen One" that is why he has sometimes abnormal readings in the Eva.Even more so than Rei at times. Shinji has abnormal readings because he has a proactive mom, that's all. K2Grey wrote: Shinji has abnormal readings because he has a proactive mom, that's all. Hell... the most logical reason I can think of why Shinji's entry plug has that metal component is that it somehow directs the pain away from the ballsackular region so when Unit-01 gets hit in the balls Shinji doesn't have to feel the mind numbing pain which would most definitely distract him from the dangerous, explosion causing angel right in front of him. And finally, I don't have a picture of it, but in Episode 22, when Rei was using the positron canon to snipe Arael, she had a configuration similar to Shinji's, but different, possibly necessary for the use of that weapon. The type of weapon might render different cockpit arrangements. Maybe the extras are for long range and ballistic weapons. If anyones has a screenie of Asuka in episode 9, when she used the polearm to split Isrfel in half. See if theres any additions in the cockpit. Maybe it is a retractile mechanism with the same purpose as a seatbelt and all the entry plugs have it but not all of the pilots utilize it. Treize X wrote: Note that Toji and Kaworu have the same items on their plugsuits, as well. I would presume this is a gender-specific thing. I might as well pop in and add my usual "continuity error" suggestion. AsukaxSohryux wrote: The type of weapon might render different cockpit arrangements. Maybe the extras are for long range and ballistic weapons. If anyones has a screenie of Asuka in episode 9, when she used the polearm to split Isrfel in half. See if theres any additions in the cockpit. I think you might be on to something there, I just finished watching ep. 3 again and the central peice of the seat that comes up onto Shinji's lap seems to correspond to the knife somehow. HeWhoPostsStuff wrote: I might as well pop in and add my usual "continuity error" suggestion. Hmm, doesn't seem to be a continuity error to me. The simplest explanation would seem to be that different pilots (regardless of what eva they are actually in) have different configurations. Tines has already pointed out this consistency with his screenshots. As to why? I'm not really sure.